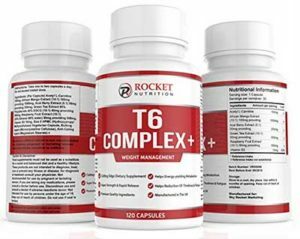 Rocket Nutrition have followed an increasingly frustrating pattern used by pop-up supplement companies that mostly sell their products on Amazon, and that is the almost meaningless use of “T6” in the name. T6 Complex+ has essentially no translatable meaning, and the formula itself contains one ingredient at a dosage that can do something. All things considered, we’re going to stick to the fat burners and diet pills that do something for the money we spend on them. It’s about time someone explained what the deal is with all the “T5” and “T6” in the names of fat burners and diet pills. The problem is, even the companies that make them probably don’t know. The T5 thing is a throwback to ephedrine, and since ephedrine isn’t really used anymore, these manufacturers decided to put the name to anything with a central nervouse system stimulant in it. So, caffeine, bitter orange (synephrine), that kind of thing. So, yeah, not big fans of that old chestnut. Nevertheless it’s what’s inside a diet pill that counts. That’s a whole lot of positive intentions from T6 Complex Plus. The formula will tell us whether it can do these things for you. The following is per 1 capsule of the product. The bottle contains 120 capsules and the company recommends 1 to 2 capsules per day. 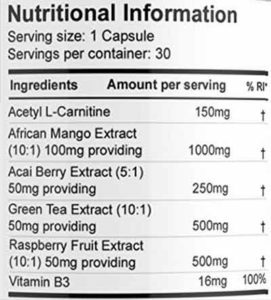 Green Tea extract and Acetyl-L-Carnitine (aka ALCAR) are the only ingredients there that can do much. The ALCAR is not at a very effective dose. So the Green Tea is what you are getting out of this product, and even that can’t do all of those things they describe as ‘benefits’. There isn’t much to worry about where negative side effects are concerned. T6 Complex+ is pretty light on effect altogether. Having said that, certain people should not take the product, including pregnant/breastfeeding women, people with medical conditions and anyone taking prescription medication. Follow the usage guidelines of the product. You have probably realized by now that we won’t be recommending this product. There is just too little in the way of effective ingredients in the formula. You may as well spend a little more money and get something that actually works. When it comes to diet pills and fat burners, you need a strong formula with scientifically proven ingredients in order to have any effect. 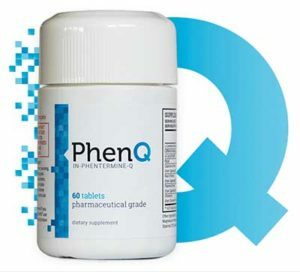 We have compiled a short-list of the top weight loss supplements on the market and you can find that summary by following the link below.